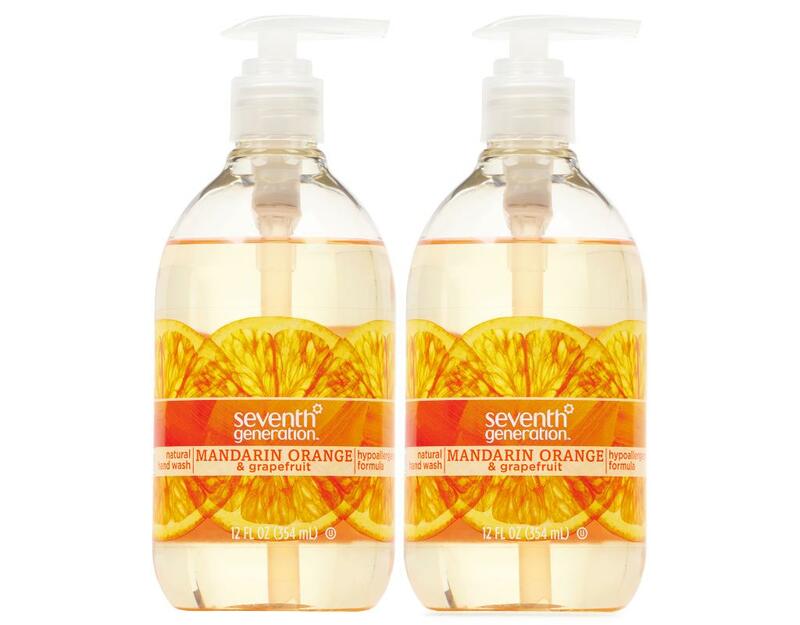 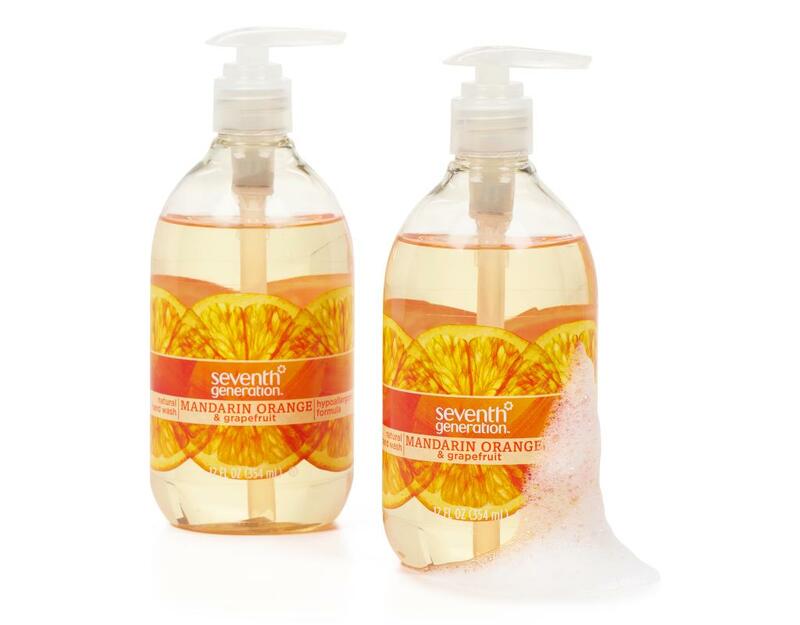 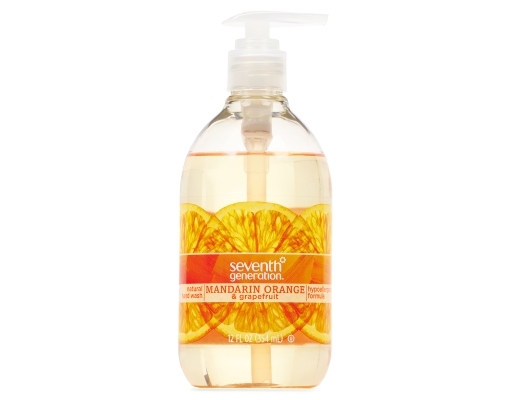 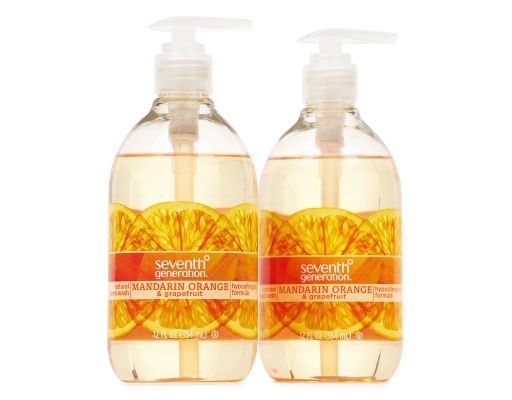 Lather up and clean gently with Seventh Generation's hypoallergenic, triclosan-free hand wash. The gentle formula is made with plant-based cleaning ingredients that leave hands soft and refreshed. 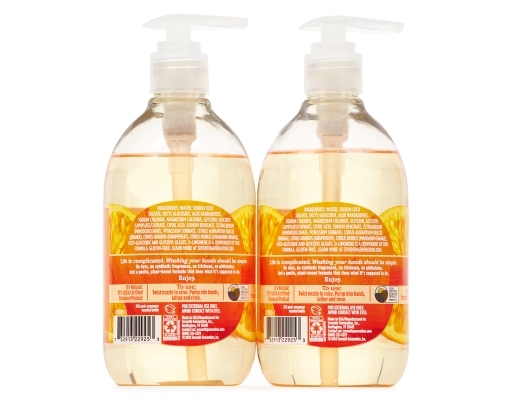 Natural Hand Wash is a 97% USDA Certified Biobased Product. 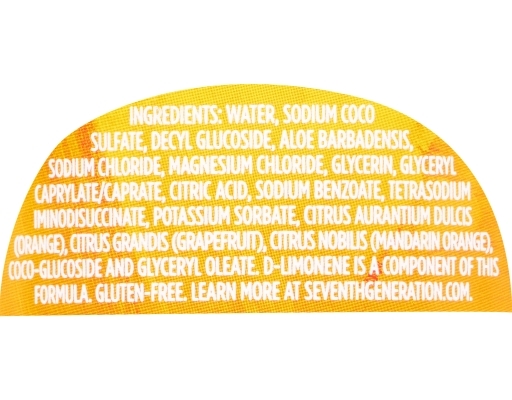 All Seventh Generation Hand Wash formulas are free of triclosan, dyes and synthetic fragrances. Water, Sodium Coco Sulfate (Plant-Derived Surfactant), Decyl Glucoside (Plant-Derived Surfactant), Aloe Barbadensis Leaf Juice (Plant-Derived Feel Enhancer), Magnesium Chloride (Mineral-Based Thickener), Sodium Chloride (Mineral-Based Skin Softener), Glycerin (Plant-Derived Feel Enhancer), Glyceryl Caprylate/Caprate (Plant-Derived Skin Softener), Citric Acid (Plant-Derived Ph Adjuster), Coco-Glucoside (Plant-Derived Skin Softener), Glyceryl Oleate (Plant-Derived Skin Softener), Tetrasodium Iminodisuccinate (Synthetic Chelating Agent), Sodium Benzoate And Potassium Sorbate (Synthetic Preservatives). Citrus Aurantium Dulcis (Orange) Peel Oil, Citrus Grandis (Grapefruit) Peel Oil, Citrus Nobilis (Mandarin Orange) Peel Oil.